First and foremost, Wishing you and your family a very very Happy New Year 2016 !! Today I will be re-presenting the detailed information on Valley of Flowers and Shri Hemkunt Sahib already published under DoW Community and very well drafted by one of our core devil, Preet Kamal Singh. The information posted on the community thread here is so valuable that I could not resist myself to re-share it in the form of a blog article so that it reaches more like minded travelers or followers of DoW which are still to join our DoW Community !! Valley of Flower and Shri Hemkunt Sahib are the two fabulous places housed in the lap of western Himalayas in the Chamoli district of Uttarakhand. Gurudwara Sri Hemkunt Sahib ji is devoted to the tenth Sikh Guru, Guru Govind Singh ji. Located at a staggering height of 4632 meters (15,197 feet), amidst seven mountain peaks with glacial peak in the middle, one can trek 25 KMs from Govindghat which is the second last station on Rishekesh-Badrinath highway, in order to reach this amazing gift of nature. On the other hand, the Valley of Flowers National Park, a world heritage site, is situated at an altitude of 3700 – 4000 Mtrs in the west Himalayan region and is the second core zone of the Nanda Devi Biosphere Reserve. The Valley of Flowers covers an area of about of 87.50 sq kms housing almost 300 varieties of alpine flowers. It was discovered by great mountaineer Frank S Smith in the year 1931. 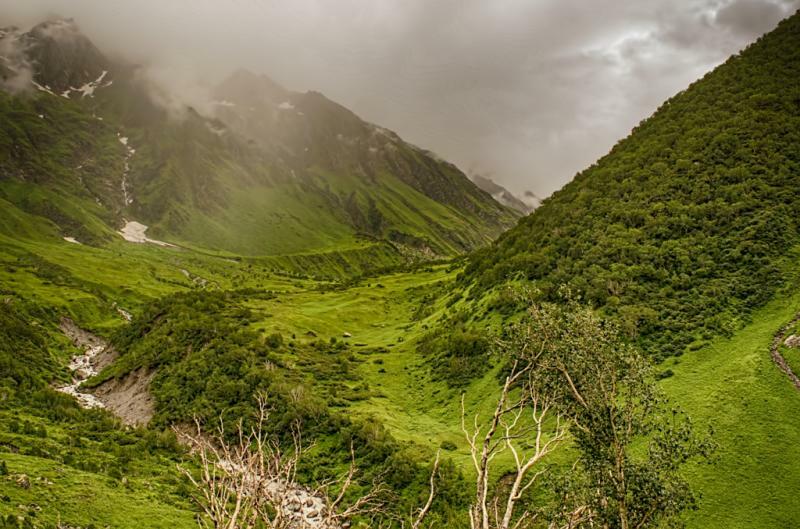 The trek to Valley of Flowers also starts from Govindghat and diverts from Ghangaria which is near Govind dham and is about 16 Kms from Govindghat. Delhi to Rishikesh is about 200 Kms and takes about 4 hours depending upon the traffic. The roads are in good shape mostly but traffic can be headache some times. You can also reach haridawar by train and proceed further from there by road. You can take bus from Haridwar which starts at 4.30/5 AM in the morning and it reaches 5/5.30 AM at Rishikesh. You can also take the shared cabs which are available at both the places near bus stand and start early morning only at around 5-5.0 AM. If you are driving your personal car, then try to start early as you have to cover about 275 Kms in a day with time for jams and landslides taken into account. In your day, you will drive through Devprayag – Srinagar – Rudraprayag – Joshimath.You would be able to reach Govind Ghat by 5 Pm in the evening. There are a lot of hotels available in Govind Ghat suited for economic budgets and you can also get the accommodation in Gurudwara Sahib as well. You have to start early on this day also as the trek is tiring and is of moderate. Ponies and Porters are available. You will pass thru Pulia and Bhyundar village and there are shops on the way, so you will have things to eat. You should start early by 6 and see a beautiful waterfall on you right side just in front of Valley of Flowers, check point gate. After taking entry tickets, you will enter the beautiful valley called valley of flowers. Porters are available, carry your food as nothing is available inside it once you enter the gate. Start back by 2 so that you can easily reach before evening or dark falls. You have to start early and reach Hemkunt sahib. The trek is very tough and it is hardest you will face on this route. But you will be treated with some breathtaking views.Then you have to trek all the way down to Govind Ghat which is going to be tiring and heavy for knees as maximum of it is descent. Option three is Govind dham To Govind Ghat (15kms of Trek 3 hrs). You can trek down to Govind ghat in maximum three hours and proceed towards Badrinath which is 25 Kms from there. Day 6 Govind Ghat To Rishikesh (275 kms 10/12 hrs). You can take a shared taxi which start early in morning or bus which start at 6. Please note, attempt this only if you are sure about your stamina to undergo this hectic schedule. Valley of flower has a cool but pleasant climate in the season time which is mainly summers and for rest of the season it closes down due to snow/cold temperatures. Summers (June to October) have a cool weather with maximum temperature reaches to nearly 10-17 °C and is a good season for viewing the refreshing beauty of valley of flowers. Winters (November to April/May) minimum temperature can go well down below zero. Good time to visit Valley of Flowers/Hemkunt Sahib is between June/July to October which is quite pleasant and ideal for the visit of the national park. It is also a good time window for spotting endangered animals at times. August and September are the special eye catching months with blooming flowers justifying the name of the place. It is the time when about 300 varieties comes to life and make this place look like a fairyland but of course August is when you need to face monsoon hassles as landslides are pretty common in Gharwal. December to May is not recommended as it snows up there and temperatures are below 0 °C without an other support en-route. Valley of Flowers is such a trek which ever nature lover should experience once in a lifetime. It will surely gonna leave you asking for more and you will really cherish these memories for lifetime. Hey dheeraj, i am planning visit Hemkunt sahib and Vof in the first week of july, i would be travelling from gurgaon with my cousins, we will probably take baleno(petrol) instead of train.i have no clue how to plan a itinerary for this trip so please guide me and what’s the least time to cover this trip and how much would it cost per person. Regarding the cost, it should cost you around 8-9K types per person. 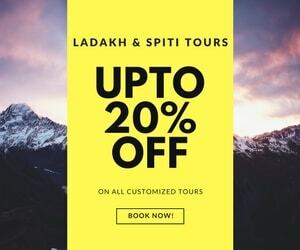 Hi Team, first of all, i had got great help from you guys in planning my Leh trip last year. Thanks a lot for that. Now its VOF. I have a swift VDI and planning to self drive DEL to Govindghat. Is it practical to self drive in that monsoon season in such a landslide prone zone. If this is a real hassle, can do with hiring a taxi. We are a couple 37-38yrs. yes. But they say. July and August are the best times for VOF. Any Driver recommendations you know ?? I would like to visit Valley of flowers with my kid which is 1.5 years old. Please let me know if it is goo decision to take him. Pony is available there? I will suggest to avoid taking 1.5 yr old kid to valley of flowers. I was wondering if a foreign national requires a Protected Area Permit to go to the Valley of Flowers? Yes Rishab there are options of stays available at Ghangaria including a KMVN Rest House. Thanks Dheeraj for your valuable inputs. Would you be able to suggest couple of more himalayan treks of Uttarnachal and Himachal which we can do on our own without any trek community/facilitator ? I will be following Delhi > Haridwar> Rishikesh> Joshimath> Govind Ghat route. Can you please let me know about the Road conditions of this route. It will really help me decide if I need to find an alternative vehicle in case the road conditions are bad. Amit, as of now last week there was an update up to Rudraprayag that roads are in fine shape. Beyond that, I do not have any latest update on road conditions post monsoons. Sorry about that, but nothing major has been heard about. Thanks Dheeraj, for your quick response and suggestion. Can you also please suggest hotel at all the locations of your iternary.we Are planning from Aug 20 (delhi)-Aug 28 (delhi)Thank you! Sorry about the hotels, we mostly book on the spot or majorly stay with KMVNs or GMVNs whenever we travel to Uttarakhand. Sorry what I meant was accommodation only… (‘hotels’) unable to find any available now for this month. Just wanted to check. Check with Hotel Bhagat at Govind Ghat: 9412936360. He may help you out. Thanks a lot 🙂 will contact the person. 23/07 Flight from Mumbai to Delhi leaving at 02.50 hrs reaching Delhi at 5Am. Scramble from there to New Delhi Station to catch the Shatabdi train to Haridwar, take a rick to Rishikesh and halt for the night. 24/07 take the early Morning Bus to Govindghat and saty there for the night. I would request your comments on the itinerary and inputs regarding the degree of difficulty of the trek, estimated time for a slow guy like me, how cold will be and what kind of warm clothing is needed? 29th Ghangariya to Govindghat to Badrinathji to Joshimath. Sir, the plan looks OK to me just that on 27 you should go to Hemkunt Sahib ji and return to Ghangariya and on 28 reach back to Govindghat which will ease out things. It is a moderate difficulty trek, so will suggest that you carry a porter or guide with you so that you only walk and he carry stuff for you. Plus a company of local is always more than helpful. Cold conditions are OK but do carry a pair of warm clothes and a jacket plus rain cut jacket with you. Raincoat may be necessary too I feel. As suggested i shall hire the services of a porter or a guide. BTW what might be the cost for that person if i have to hire for all days that i am up there in the hills. Sudhakar ji, I do not think you are allowed to sleep in Valley of Flower and one has to come back, this is based on my own limited knowledge of the place. So, please check with locals before doing that. I am sorry, never got a porter but will check with few friends about the general rates of the porter and revert. I have planned to VOF on 2nd week of Aug.
8 Aug Rishikesh to Joshimath or Govindghat. Stay. 9 Aug Govindghat to Ghangariya. Is it possible to go to Badrinath and Vasundhara falls once reach at Govinghat from Ghangariaya on the same day(on 13th Aug)? ok, that’s great. I will definitely check there at Ghangariya and at Govindghat. Thanks a lot. Hey Vyankatesh, Just curious to know if you are back from this trip. I had planned the trip for this week too but had to postpone it because everybody warned me of the rains and roads. How bad are things up there? Do you think I should wait till Sep? I will suggest of postponing it to September. Hi dheeraj,we planning to go to valley of flowers in month of July end.will it be safe to travel in the rainy season.little worried.please guide us. Well, it is the time to travel unfortunately. Mostly you have to deal with rains during that time. do check the weather conditions before going ahead. 1. Can this trek be done with Quecha ARPENAZ Sandal 100L or its quechua forclaz 500 trekking shoes? Well, sandals are prone to have bruised feet or cut feet on a simple slip. And you know when you are in no mans land, a small bleeding cut or bruised feet can make you trouble a lot. I never advice trekking in Himalayas in sandals or sleepers. Best is to wear shoes. Really appreciate the good work you are doing. I am really keen to become a member of DoW. a) First of all, What do you think of this itinerary? I must mention that I am trekking for first time. If you this this itinerary can be improved, please suggest. b) We will be travelling in Honda City. Would it be ok to travel in Sedan? d) Do you have any inputs for blossoming of flowers around that time of the year, in valley of flowers? e) Is there any one way road along the whole route? We are planning to visit VoF in July/Aug 2016. – How difficult is the trek ? This would be our first trek in North. – Route from Dehradun ? We are planning to go to Dehradun from Pune. 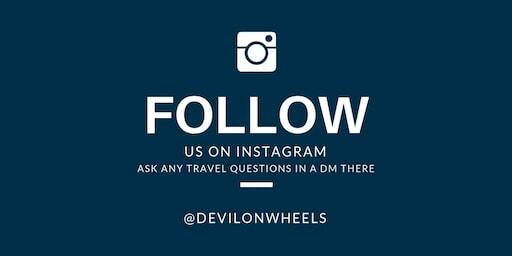 Which route you would suggest – Pune->Delhi or Pune-> Dehradun ? – Any trek group/guide which we can join? Shilpa, it is of moderate difficulty trek. Route is suggested above along with complete plan.